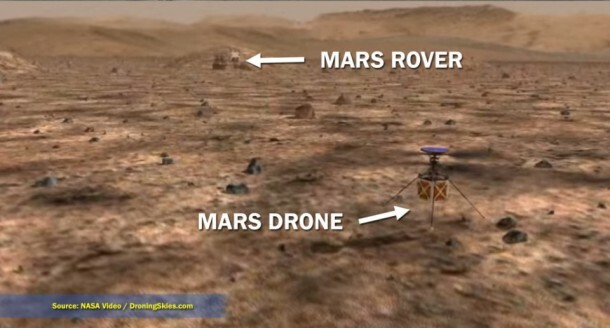 The problem faced by NASA’s Mars rovers is the fact that these rovers are not able to analyze the terrain that lays before them. NASA is busy developing a way to determine that via robotic helicopters which would be able to carry out land scouting and relay data to engineers that would subsequently help them to come up with the ideal route. NASA has been conducting tests at Jet Propulsion Laboratory, California in a vacuum chamber where Martian atmosphere is being simulated. Watch the video below to see the robotic helicopters work out their magic!